Along with a vast majority of the bike traveling masses, we are riding Surly Long Haul Truckers. As promised, these bikes are made for the long haul and came at a price point that only set us back a few months rent. So far, our new two-wheeled homes have certainly earned their keep. 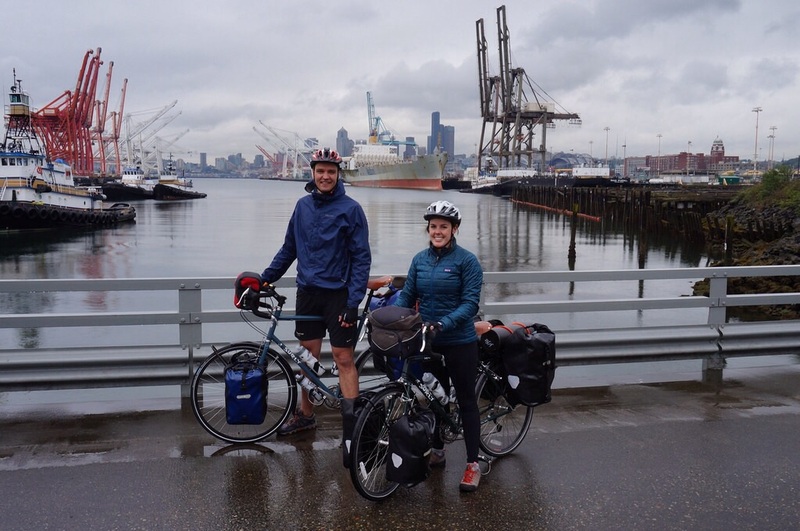 Our trusty steeds are tricked out with a few pieces of gear suited for long distance, heavy wear, and (mostly) waterproof touring. Panniers: Ortlieb Frontroller and Backroller Classic. May 2014 update – waterproof they are, raccoon proof they are not. Riders beware. Saddle: Brooks Standard B17 (women’s version for Alex, men’s version for Tom). October 2014 update – after six months of a sore behind, Alex has officially jumped off the Brooks bandwagon and traded in for a cushy new saddle from Selle Royal. Her sits bones hope to finally begin enjoying this bike trip.